As the company has grown, so has the culinary team that supports it. Every member of the Chef Alyssa’s team brings his or her own special talents to the table, but they all live to share the art and joy of cooking with others…whether in our kitchen or yours. Chef Alyssa has been cooking her entire life. She’s worked in different types of restaurants up to Executive Chef. She’s created and designed all of the menus and recipes in our kitchen. 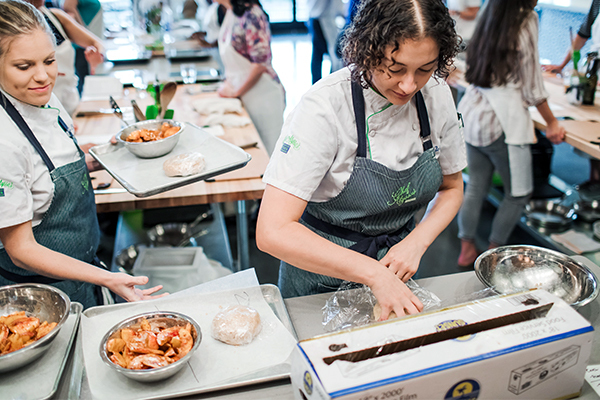 Chef Alyssa leads our public classes and is excited for the opportunity to cook with you! 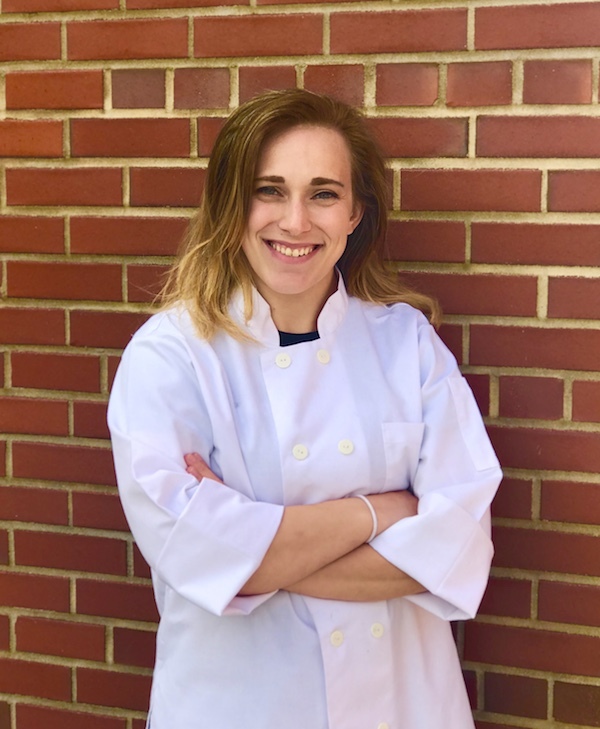 Growing up in Charlotte, NC Alyssa Wilen (formerly Alyssa Gorelick) has been involved with cooking nearly her entire life. For her, cooking has been a culmination of her love of art and fine food. Alyssa has always had the creative spirit in her – whether it was in dance, art, or theater. In short time, Alyssa found her love and passion for cooking and focused her career path on this model. Alyssa has made many wonderful stops in her professional journey. A 2005 graduate of the Art Institute of Charlotte, Alyssa started and ran her own catering company while in school. Her professional career has taken her to Italy and several restaurants in Charlotte the range from upscale restaurants, a country club, to small intimate dining. In 2011, Alyssa was presented with the opportunity to hone her style in a brand new restaurant in Charlotte. Fern, Flavors from the Garden, appointed her the opening Executive Chef and in October 2011, Alyssa officially became “Chef Alyssa.” Working tirelessly for months, Chef Alyssa made countless connections with local farmers to ensure that all of her menu items would be healthy and local. The menu and dessert items, which changed seasonally and daily upon availability, reflected her efforts. While at Fern, Chef Alyssa was recognized in multiple local, regional, and national magazines, including Food & Wine Magazine. Aside from being named one of Charlotte’s Top 5 Chefs by CBS Charlotte, Chef Alyssa had the opportunity to cook two separate times at the prestigious James Beard House in New York City. Since starting Chef Alyssa’s Kitchen, Alyssa won the 2014 Iron Fork Competition, named as one of the top 10 chefs in Charlotte to know by The Braiser and listed as one of the top culinary minds in Charlotte by South Park Magazine. 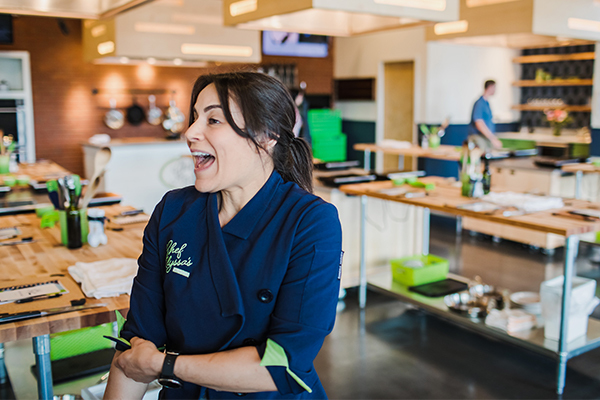 In 2015 and 2016, Chef Alyssa’s Kitchen was named Best Cooking Class by Charlotte Magazine. She can been seen cooking weekly on TV every Saturday morning at 9:15 on NBC Charlotte, WCNC. In 2016, Chef Alyssa launched her product line of condiments: Chef Alyssa’s Spreads. Most recently, Chef Alyssa appeared on June 24, 2016 on Beat Bobby Flay on The Food Network. During that year, she was also recognized as one of the top females in Charlotte culinary scene by South Park Magazine. In 2017, Chef Alyssa was named one of the Top 50 Most Influential Women in Charlotte by The Mecklenburg Times. In 2019, Charlotte Agenda named her one of the most influential women in Charlotte’s food & drink industry. Her cooking style and passions are to use local, fresh ingredients and add layers of flavor. Alyssa loves adding her personality, passion and creative sense into all of her menu items. She credits Chefs Joseph Bonaparte, Paul Verica, and Lorenzo Polegri. 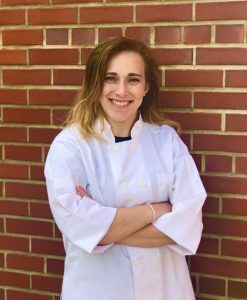 Currently, Chef Alyssa resides in Charlotte, NC and enjoys practicing yoga, exercising, kombucha, and trying new things. Without Andrew, there’d be no kitchen! He brings his winning smile and expertise on event management. 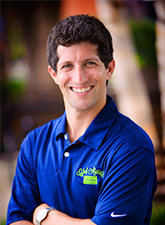 Andrew handles the operations, marketing and communications for Chef Alyssa’s Kitchen. Andrew Wilen, an energetic and creative leader, grew up in Baltimore, MD. He has always been an athlete, playing team sports from lacrosse and soccer to basketball and baseball. With his involvement in so many outdoor sports, it’s no wonder that the Carolina weather drew him down south. In 2008 he graduated from Elon University with a BA in Corporate Communications and double minors in sports marketing and business management. Following graduation, he worked in marketing and media relations for the Carolina Panthers and Bank of America. He also managed promotions for many events including the Chicago Marathon and Susan G. Komen Race for the Cure in Denver, New York, Houston and Dallas. His ability to motivate a team and get the group excited to accomplish its goals contributed to the reason he became an event planner. Following this career path, Andrew continued event planning with LivingSocial Adventures as the Charlotte Events Manager. He was able to design and manage exciting events for guests seeking to explore Charlotte in a vibrant and new way. Some of the events he designed were music festivals, sushi making and wine tours. He thrives in situations where he can motivate others, add his creativity, transform a space and, most of all, making sure guests have a good time. Following LivingSocial, Andrew worked for Charlotte Center City Partners in South End, the “SoHo” of Charlotte, for 5 years. Amongst other localized events in South End, Andrew organized Small Business Saturday and the Craft Beer Crawl for three years. He loves organizing events which strengthen the community and cultivate the art and cultural scene in Charlotte. Andrew delivers his dynamic personality to Chef Alyssa’s Kitchen, which brings people together to explore cooking great food and learning in a fun way. In 2015, Andrew was named one of Elon University’s Top 10 Under 10 award recipients. In 2016, Charlotte Agenda named him as one of the Top 30 under 30 professionals. In 2017, Charlotte Business Journal named Andrew one of the Top 40 under 40 award honorees for his professional work and service in the community. In his spare time Andrew stays active and plays in a softball league and pick-up basketball. He is an avid golfer who participates in several fun tournaments a year with his dad. Previously, Andrew has coached flag football and basketball for the British American School in South Charlotte, served on the Charlotte Alumni Board of Elon University for four years as the Events Program Manager and organized (with Alyssa) the Common Grounds Corncuopia raising funds and awareness for the Urban Ministry Center. Gloria assists all aspects of Chef Alyssa’s Kitchen including adult and kids cooking classes along with event management. She is also the lead chef for Saturday morning brunch service. Gloria Wheeler has been working part-time for Chef Alyssa’s Kitchen since February 2015 and in June 2017 accepted a full time position. Gloria was born in Washington D.C and is from Bamburg, SC. A 2015 culinary graduate from Johnson & Wales, Gloria has spent her career working in restaurants such as 300 East. Gloria assists our cooking classes and team building events. She also helps plan many of our private events and keeps things organized! In 2018, she was promoted to lead chef for Saturday brunch service. After just 8 weeks, brunch was named top 12 in the city by Charlotte Agenda. Gloria was one the leads starting Chef Alyssa’s Kids Culinary Camps with Emily. In 2017, after just 2 summers, the kids camps were named Best of the Best by Charlotte Magazine. Raven is a lead culinary assistant, general manager and works within all aspects of Chef Alyssa’s Kitchen. From assisting adult classes to working the line during catering and Saturday morning brunch. Raven is originally from Newport News, Virginia. Raven moved to Charlotte to attend culinary school at Johnson & Wales University, where she later graduated. Her work experience includes Earl’s Grocery and Nan & Byron’s Restaurant. While in school in 2014, Raven began assisting Chef Alyssa’s Kitchen for cooking classes. She continued to work at Chef Alyssa’s Kitchen until spring 2016 when she moved to Charleston to work at Jasmine Porch, part of the 5-star resort The Sanctuary Hotel at Kiawah Island. At Jasmine Porch, Raven grinded her way up to Sous Chef. Beginning in June 2018, Raven officially re-joined the Chef Alyssa’s Kitchen family. She works in all facets of the business and helps keep everyone organized! Raven is a lead for Saturday brunch. After just 8 weeks, brunch was named top 12 in the city by Charlotte Agenda. Raven also assists Chef Alyssa during special events and dinners. 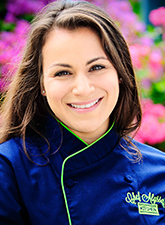 Dani is the chef instructor for most of our private cooking classes and team building events. She brings her culinary experience, engaging personality and southern charm to our kitchen! 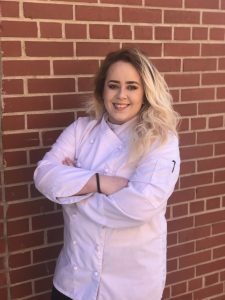 Dani Rowland joined Chef Alyssa’s Kitchen in Fall 2017 as our first part-time chef instructor. Dani grew up in Charlotte, NC and received her culinary degree from Central Piedmont Community College. Dani has spent her career working in catering, restaurants and food trucks. However, for the past 8 years she’s owned and operated Rowland’s Row Organic Farm with her husband, Joe. They grow vegetables, raise chickens and are a big supplier for Chef Alyssa’s Kitchen! Dani will be leading many of our private cooking class events. We are excited because Dani brings her engaging personality, enthusiasm and southern charm to our kitchen. Jonathan is the Chef de Cuisine of Chef Alyssa’s Table. He has cooked in several restaurants up to Executive Chef. Jonathan leads all of our corporate lunch catering and family table meals. Jonathan joins Chef Alyssa’s Kitchen in July 2018 as the Chef de Cuisine of spin-off concept, Chef Alyssa’s Table. Jonathan is born and raised in Charlotte. He began his restaurant career in high school at Mr. K’s. Taking positions of increasing responsibility at 5 Church and Nan & Byron’s, he eventually rose to Sous Chef at Passion 8. For the past two plus years, Jonathan was the Executive Chef of Sea Level, ranked a Top 15 restaurant in Charlotte. Jonathan shares our passion for local, sustainable food to be made with exceptional flavor. Our Chef Alyssa’s Table meals can be for pick up or delivery, and are perfect for office lunch catering and family dinner meals. Christina Bradshaw began working for Chef Alyssa’s Kitchen in September 2018. Christina is from Columbia, SC. She recently completed her bachelors and culinary degree from Johnson & Wales. 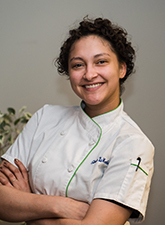 Prior to working at Chef Alyssa’s Kitchen, Christina was the chef de cuisine for Comida in Charlotte. Christina assists many of our adult cooking classes and is a lead line cook for Saturday brunch. 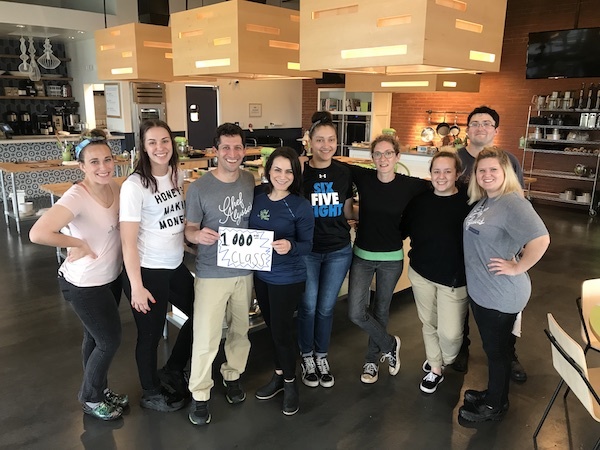 In 2019, after just 8 weeks Chef Alyssa’s Kitchen brunch was named one of the top 12 in the city by Charlotte Agenda. Additionally, when needed, she also works within our Chef Alyssa’s Table catering department for lunch orders. Just like all of us at Chef Alyssa’s Kitchen, Christina brings a lot of versatility to the table. Kara is our team baker with all aspects of Chef Alyssa’s Kitchen catering, family table meals and brunch. She also assists adult cooking classes, leads kids/teens baking camp along with parent/teen events. 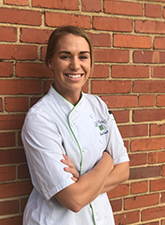 Kara Murphy joined Chef Alyssa’s Kitchen in April 2019. Kara was born in California and grew up in Delaware. She loves all things pastry and baking. Her first job was in a local bakery in Delaware when she was 12. Kara received her culinary degree from Delaware Technical Community College. She then received her bachelors in business management from Johnson & Wales in Charlotte while also completely her associate degree in baking and pastry. Prior to working at Chef Alyssa’s Kitchen, Kara was the pastry chef at Oak Steakhouse. Previously she had worked in several of the top ranked bakeries in Delaware for over seven years. Kara assists our adult cooking classes and works with Gloria to produce the baked and pastry items for brunch: cinnamon babka bread, English muffins and more! Kara also leads out baking camp and will be teaching parent/teen cooking classes throughout the year. Kara’s experience, culinary, baking knowledge and enthusiasm make her an excellent addition to the Chef Alyssa’s Kitchen family. Logan is one of our private event chef instructors. 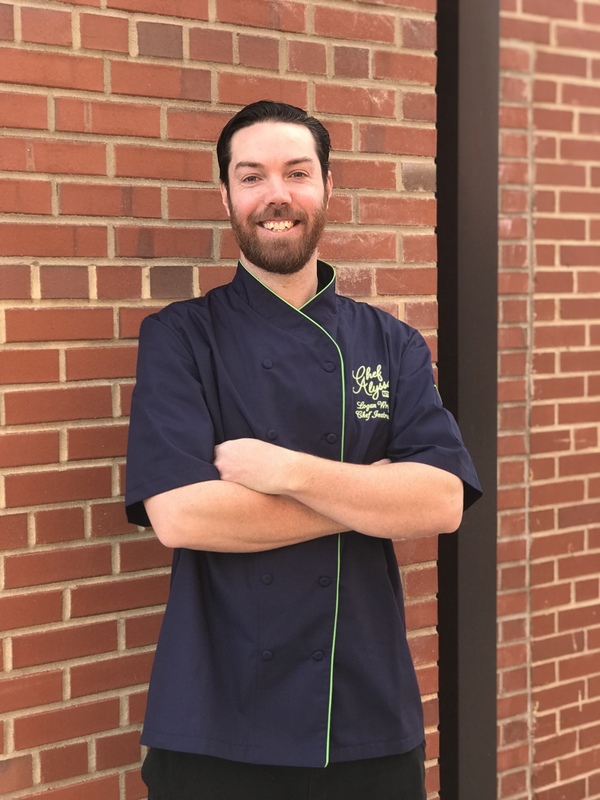 Another local Charlottean who has worked his way up through fine dining restaurants and country clubs, Logan brings a well-balanced approach to cooking along with his skill in developing flavor! 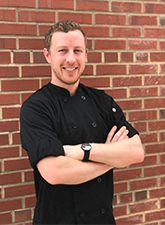 Logan joined Chef Alyssa’s Kitchen as a private event chef instructor in September 2018. Logan grew up in Charlotte, NC and has cooked his way up in restaurants during his career. 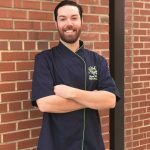 He is currently a Sous Chef at Longview Country Club in Waxhaw, NC. Prior to that he worked for several years at Heritage Food & Drink under Chef Paul Verica, a James Beard award semi-finalist. Logan brings his years of restaurant experience, passion for teaching and detailed explanation of steps to teach a wide variety of skills! 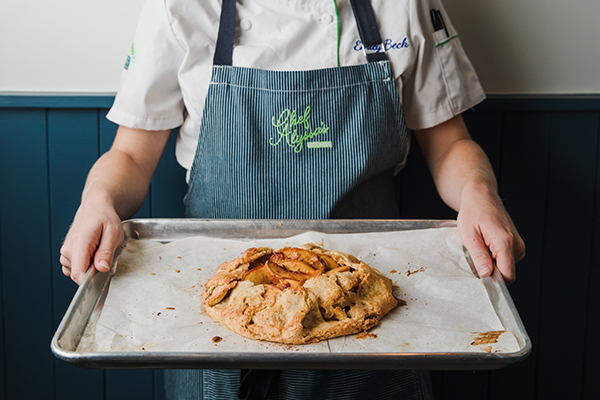 Ellen will be leading the baking, pastry & desserts classes for Chef Alyssa’s Kitchen. Ellen brings years of experience and technique to the team. Along with her knowledge, Ellen’s personality and teaching style make her a huge addition to lead our baking and pastry program! Ellen Duke joins the Chef Alyssa’s Kitchen in spring 2019. She’ll be leading our baking, pastry and dessert public cooking classes! Class themes include: French Desserts, Macarons, Decorated Succulent Cupcakes, Afternoon Tea Party and More. Since 2011, Ellen has been a baking and pastry instructor at Johnson & Wales University in Charlotte. She completed her Master’s Degree of Hospitality Administration at the University of Nevada, Las Vegas, and also holds a bachelor’s degree in Hospitality and Food Service Management from Syracuse University, and an associate’s degree in Baking & Pastry Arts from Johnson & Wales University. 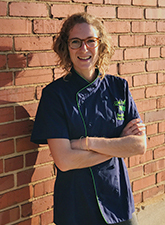 Ellen has worked in various baking and pastry settings including fine dining, catering, specialty cake shops and large-scale production bakeries. She currently owns Dukes Bread with her husband, Adam. 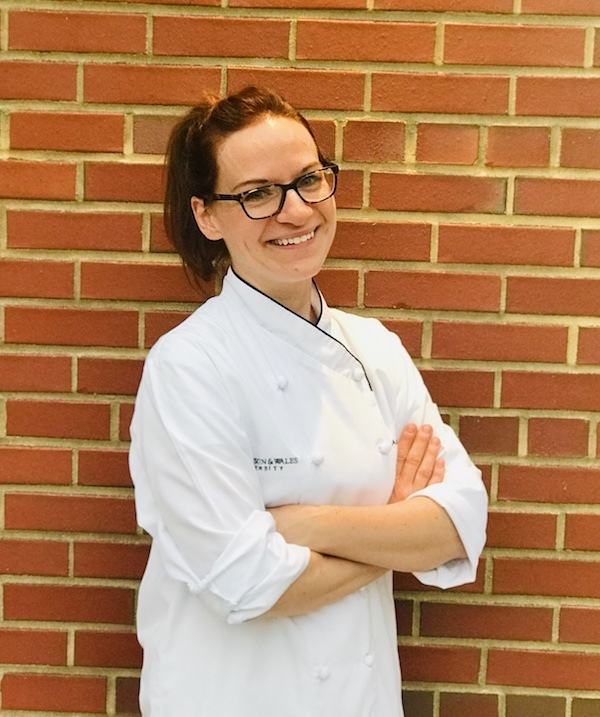 Ellen is a Certified Executive Pastry Chef by the American Culinary Federation and a Certified Hospitality Educator by the American Hotel & Lodging Association. She also earned a Level 2 Award with Distinction in Wines and Spirits from the Wines and Spirits Education Trust.